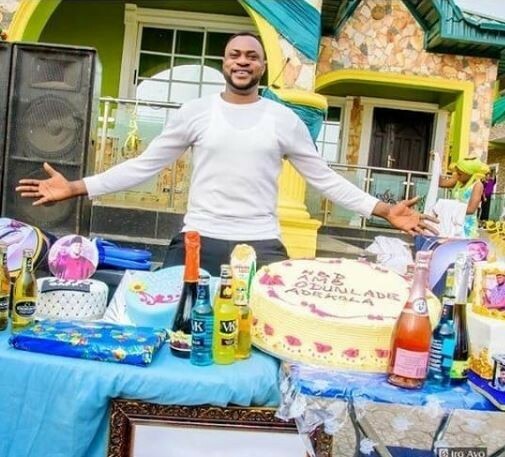 Born on December 31st 1976, popular Nollywood actor, Odunlade Adekola celebrated his 42nd birthday yesterday at his Abeokuta residence in Ogun State. The house party had Mr Latin, Eniola Ajao, Owolabi Ajasa, Dr Smile and several others in attendance. The United States embassy in Abuja and its consulate in Lagos have shutdown indefinitely, according to reports. This implies that persons who have applied for tourist, study, business visas, immigrant visas or any other travel document will have to cancel their plans. 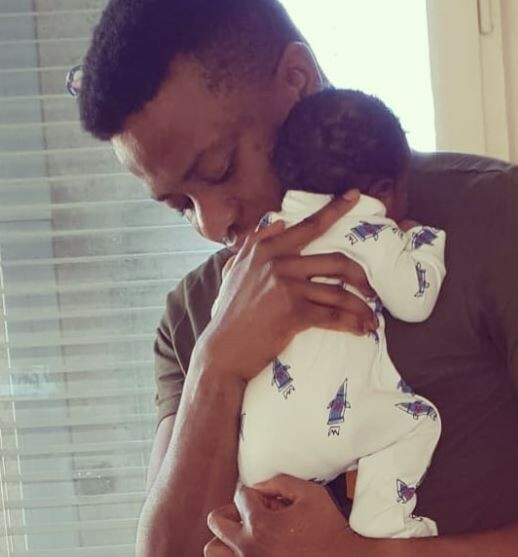 OAP Tolu Oniru-Demuren and her hubby, Captain Tunde have shared first photos of their first child, a boy who was born a few weeks ago. 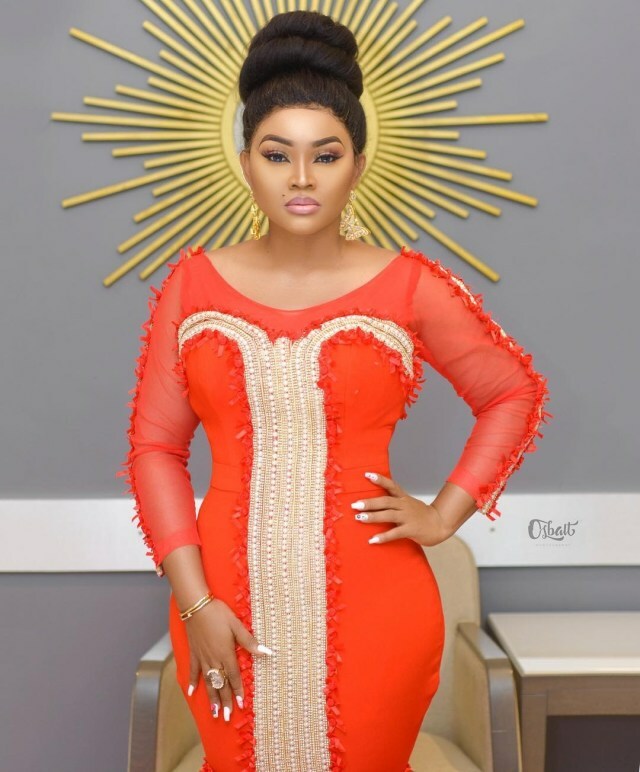 According to Tunde Demuren, ‘Toolz did great, she left her career, left her business, left her home to make sure the Child was good all through’. Happy New year 2019!!! I know you must be as excited as I am about this fresh and clean start. My prayer is, it would be our best year yet. There is actually a lot to be grateful about. The gift of life is the greatest of all, and no matter whatever we might be facing, we should be happy to be alive. Before I go on and on about how happy I am to see this new year, and how grateful I to God for keeping my life, here is my prayer for you. May there be no death in your family. May no misfortune befall you or any member of your family. You will be alive to see the end of this year 2019. On this New Year, may you change your direction and not dates, change your commitments and not the Calendar, change your attitude and not the actions, and bring about a change in your faith, your force and your focus and not the fruit. On this fresh start, I am highly optimistic we would achieve our goals. Happy New Year 2019, darlings!!! OAP Kaylah has told women to open up to the public if they slepp around for money, and avoid misleading the young ones that look up to them. The state Commissioner of Police, Dasuki Galadanchi, who handed over one of the recovered children to their parents , said the teenager had requested money from her parents for the Senior Secondary School Certificate Examination registration, but the parents allegedly told her to steal the children in order to raise the money. Floyd Mayweather has just made $9M in 139 seconds after beating 20-year-old kickboxer Tenshin Nasukawa in exhibition bout. But for Mayweather, it was about more than just entertainment – the 41-year-old American intimated on Instagram that he would be paid $9m for the exhibition, which was scheduled for three rounds. On Monday, Governor Ambode swore in Hakeem Muri-Okunola as the new Head of Service in the state and also appointed six new Permanent Secretaries, including Adekunle Gold’s father, Adeyemi Kosoko. 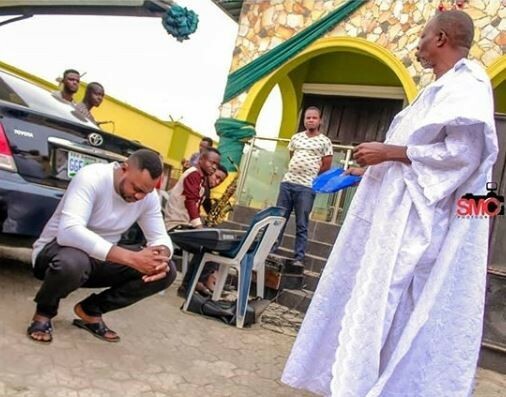 In reaction to the special moment, Adekunle Gold said he cried as he sat in the auditorium while his father achieved his life-long dream. In his words, ‘growing up, I watched my dad worked so hard for too little. Teachers weren’t big earners. But my dad, with the help of my mum, provided everything all 4 of us needed – maybe not wanted, but definitely needed’. A man that refuses to cut corners, believes in hard work and is known for his integrity. He always said to me; “Your name is precious, you must protect it! Hard as it might be to believe, I can honestly say I’ve never seen him disobey traffic rules or give bribe. When other principals allowed people use their schools for special centres, my dad said no. He said – “I have been in service for far too long to let quick money ruin my reputation.” His dream has always been to become a Permanent Secretary of Lagos state. It was his dream, it was also mine for him. 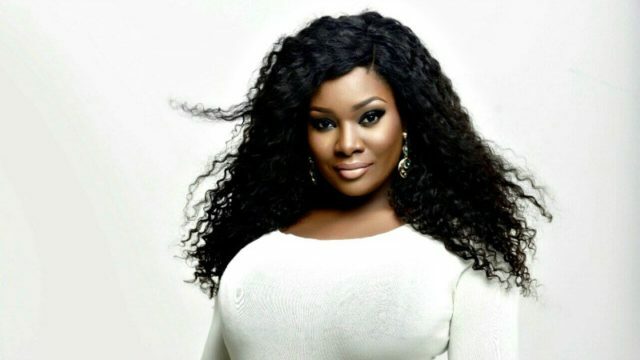 OAP Toolz has recounted her journey to motherhood, revealing that she prayed for her new born, and also talking about her miscarriage last year. ”’For this child I have prayed and You heard my cry. For this baby I had faith and You gave new life’… This time last year, I posted my most vulnerable and honest post to date after my miscarriage. WHAT A DIFFERENCE A YEAR MAKES!! This time last year, I would often cry myself to sleep thinking about the baby we lost, but now I can’t sleep because I can’t stop staring at the most precious gift God has given me this year….MY SON.??? I look at my little prince and I am in complete awe! I still can’t believe I’m a mummy. I can’t wait to teach him everything I know and learn so much from him too. I can’t wait to show him how much every inch of me loves him. I also can’t wait to “Patience Ozokwor” his future girlfriends ?? The biggest lesson I learnt this year is to NEVER…EVER GIVE UP ON GOD. Since last year, we prayed, fasted and prayed some more for God to bless us with a healthy baby in 2018. Towards the end of the first quarter, I started to think that our prayers wouldn’t be answered in 2018. I stupidly got impatient and frustrated with God. One day in April, Captain came home and found me in bed crying my eyes out because I thought we wouldn’t have a baby in 2018. Little did I know that as I was crying and getting upset and frustrated with God, I was actually already pregnant. For our family, friends and every single one of you that remembered us in prayer….Thank you so very much. May God overwhelm you with incredible blessings this coming year. For women dealing with the loss of a child like I did last year, know that the story doesn’t end there. God has already completed your testimony, and I pray that you (just like me) will be celebrating sooner rather than later. For anyone waiting on God to answer their prayers, please remember that God’s delay isn’t His denial. Thank you Heavenly Father for always showing that you’ve got me! The post Nigerian male model strips naked to bid 2018 farewell (Photo) appeared first on Nigeria News | Laila's Blog. A male psychic who claims he was an Egyptian queen in a former life has made a series of ‘psychic’ predictions for 2019. Nicolas Aujula, 33, claims his dreams have led him to predict outcomes of major events including the Syrian war and the winner of the Apprentice. He says he’s a past-life regression therapist, hypnotherapist and psychic astrologer. 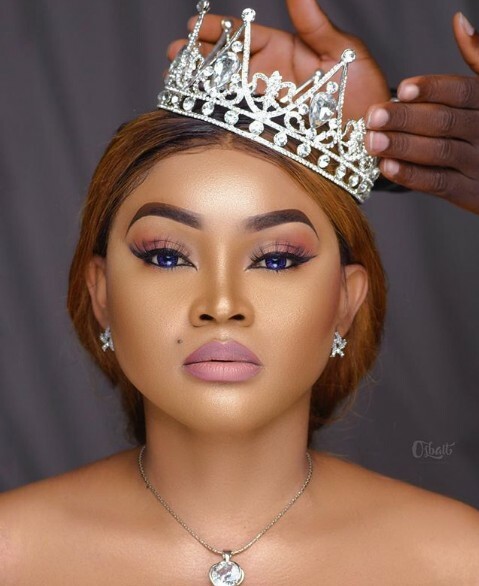 Nollywood actress, Damilola Adegbite has just shared her biggest testimony of 2018 and how God gave her a massive army to fight her battle. According to her, ‘I was fighting a serious battle for over a year. A battle I knew I could never ever have won by power nor by might. So instead, I decided to pray HARD about it. Oh dear, I disturbed God on this matter. I would sing, dance, cry, praise,worship; day and night’. A whole year passed and nothing happened. But I refused to give up. On the 17th of May (a day before my birthday), I went to a mid week service. I dragged myself to church that day. I was overwhelmed. I had no strength left in me. My head kept telling me to give up, but my heart and spirit said NO. There was an altar call in church that day for people who desperately needed God to show up for them. I joined about a hundred other people. I tried to control my emotions. A few tears escaped and I would quickly wipe them away but at some point, I let go. I showed my father, how much pain I was in. For those few minutes, I couldn’t care less which blogger, friend or foe was watching. Damilola Adegbite?! Crying like a baby in church? Me I was ready for the jist to be everywhere by the next day, but I was even more ready to risk it all for a breakthrough. Little did I know, that my day had come. After the prayers, we got up. My face was a mess so I bent my head and was walking back to my seat. I had taken a few steps when someone touched my shoulder so gently. I turned around and it was my pastor’s wife. Prior to this, I had NEVER met her. She looked at me so kindly and pulled me into her arms, right there in front of the whole church. That was it, I burst into tears like a baby. Before I could even figure out what was happening, I was taken into the pastor’s office and asked to wait to see my pastor and his wife after service. Small me!! To cut the long story short, hmmm, words can never explain. God gave me a MASSIVE ARMY. Spiritual, financial, emotional, every arsenal that I could ever need to fight and win this battle. Nigerian Singer Jaywon has alleged that some women using Juju almost ruined his performance on stage at an event in Badagry just because he refused to pay homage to them. Dr Sid and his wife have welcomed their second child, and its a baby girl. She was born on Christmas Eve, and the singer has shared some of her lovely pictures. 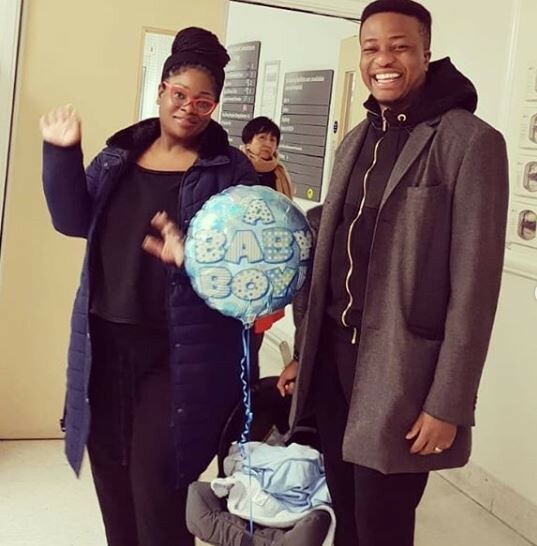 The Nigerian singer and Mavin star took to Instagram to reveal that their little princess, named Sarah, was born on Christmas eve at 3:42am. 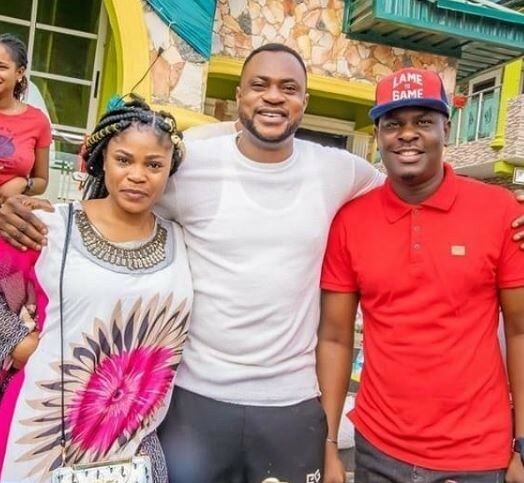 Dr Sid who is now a proud father of two girls expressed his excitement as he shared a picture of his first daughter carrying the new born. A week ago, we had the most amazing little princess on Christmas Eve! At 3.42am, God blessed with the best Christmas present ever! We’ve been enjoying our little bundle of joy. So thankful and grateful to God the almighty for the opportunity and privilege to be a mama for the second time round. Read what he shared below on Facebook. Israel has denied a total of 25 Nigerian pilgrims visa. The affected are 25 out of the 137 who intended to go on Christian Pilgrimage from Gombe State. Reacting to the issue, the Executive Secretary of the Gombe State Christian Pilgrims Welfare Board, Mr. Joseph Iliya Bega stated that no reason was given by Israel for the denial. Speaking during the farewell ceremony of the Pilgrims, he explained that the affected Pilgrims have been pleaded upon and were asked to forward names of their choices to replace them within the next four days from Monday the 31st December 2018. The Executive Secretary also stated that another eight other Pilgrims had a delay in acquiring their visas but explained that the delay in the visas can only delay their departure but will not deny them the pilgrimage exercise. In his farewell speech, the Gombe State Governor, Alhaji Ibrahim Hassan Dankwambo, urged the intending Pilgrims to be worthy ambassadors of Gombe State and Nigeria by ensuring high sense of humility, responsibility and dedication to the Almighty God. He called on them to “avoid all forms of evil vices such as drug trafficking, abscondment or any act of indiscipline that will negatively portray the image of our beloved State and country”. He also cautioned them to be careful with whom they converse with and what they say, shun sensitive diplomatic discussion and always conduct their affairs with discipline. 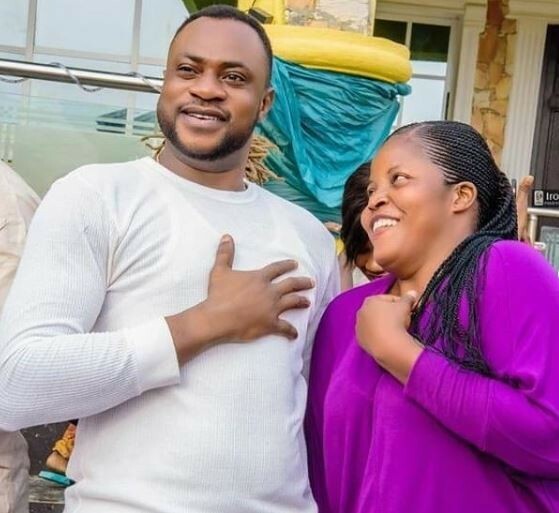 A former house-help turned educationist has taken to social media to appreciate his ex-boss who sponsored his education. 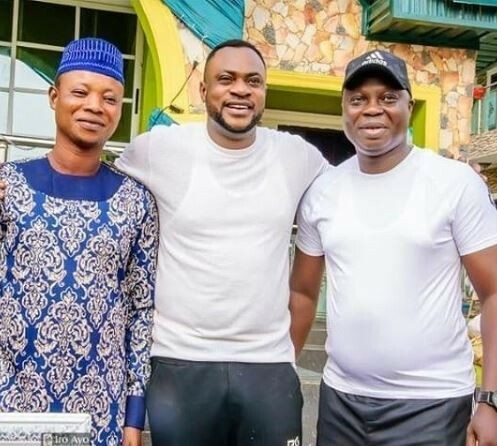 The Nigerian man, Zion Oshiobugie, took to his Facebook page to thank his former boss who took him in as a houseboy 14 years ago and ensured he got the education his biological children got as well. Long story short it’s 14 years down the line and I still remian grateful for all you did for me sir. Help say a word of appreciation to him. I end with a quote from mother Theresa. ‘ Love is not patronizing and charity isn’t about pity, it is about love. Charity and love are the same — with charity you give love, so don’t just give money but reach out your hand instead’. Former President Goodluck Jonathan has denied a claim by the deputy governorship candidate of the All Progressives Congress in Lagos State, Dr Obafemi Hamzat, that the former President allegedly offered him a $5m bribe during the 2015 campaigns. 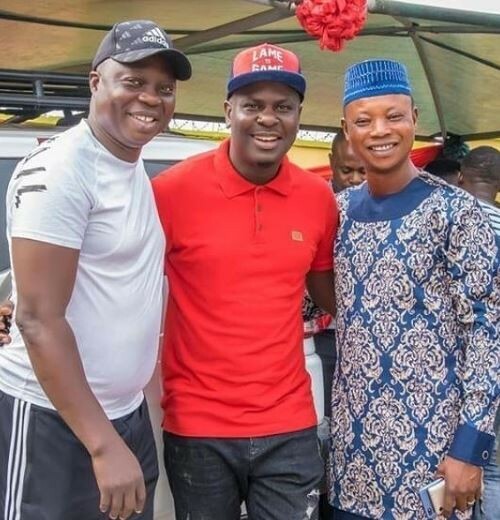 Hamzat, who had reportedly made the allegation at the launch of the (APC governorship candidate, Babajide) Sanwo-Olu and Hamzat Advocates held at Fidimaye Hall, Oko-Oba, Abule-Egba, Lagos on Friday, said he rejected the offer. But Jonathan, in a statement by his media adviser, Ikechukwu Eze, refuted the claim, describing Hamzat as an obscure character in the politics of 2015. He said, “Our attention has been drawn to a claim by the running mate of the All Progressives Congress governorship candidate in Lagos State, Mr Obafemi Hamzat, that he rejected a $5m bribe from former President Goodluck Jonathan during the 2015 elections. “Assuming anybody had $5m to spend to better his political fortune, as Mr Hamzat claimed, why seek to waste it on a man who was just a commissioner prior to 2015, and whose best outing so far is to function as a hand-picked running mate to a governorship candidate in the forthcoming 2019 elections? 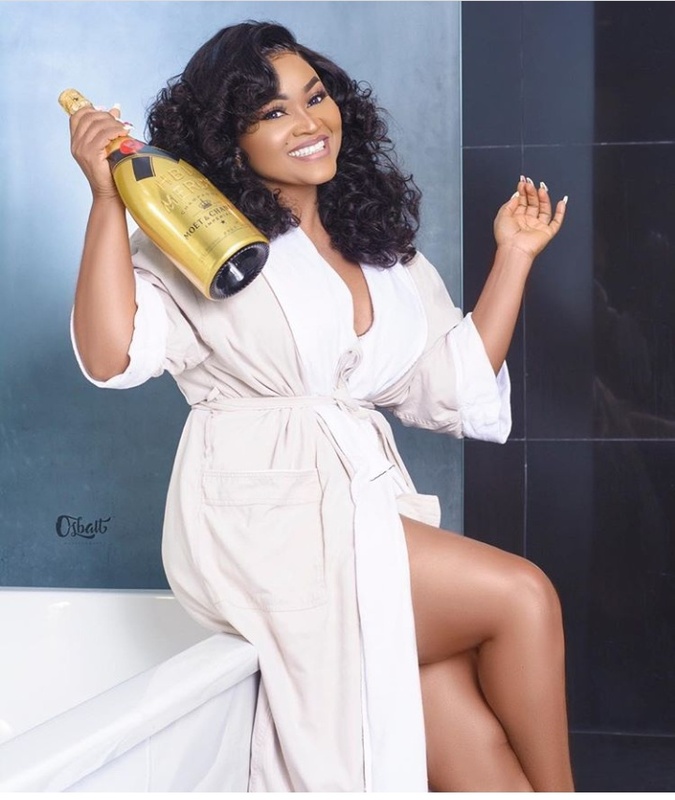 According to reports, Idumonyi invited the victim to a hotel, a month after they met on Facebook. However, on getting there, the girl was abducted for 3 days. A teenage girl has been arrested after she stole two siblings between the ages of two and seven, and sold the children for N800,000. 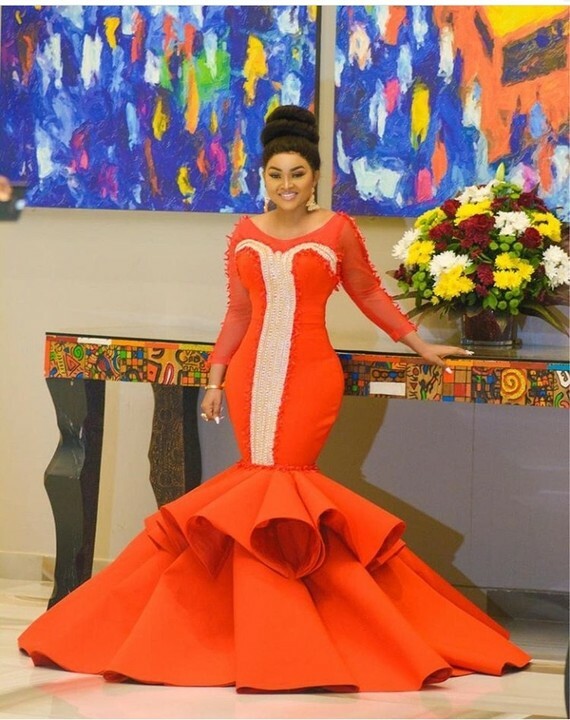 The 15-year-old girl, Precious Ehiedo, and two others, Juliet Ogben and Favour Okoh, were arrested by men of the operatives of the Imo state police command.